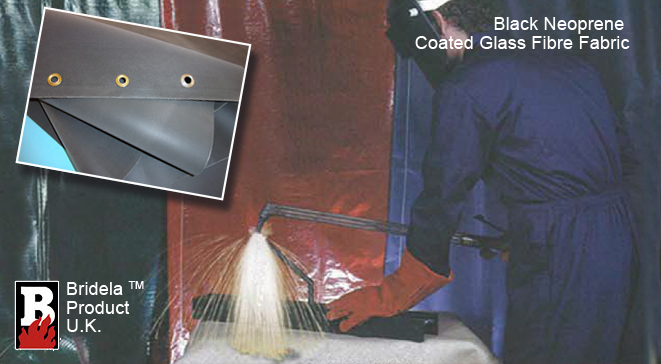 Neoprene coated glass fibre fabric welding curtains can be used to isolate an area. This can offer protection to workers from welding sparks and light welding spatter. Neoprene glass fibre fabric welding blankets can protect workers and have the added benefit of shielding flammable materials and machinery.